Gradillo ( we suggest church depending the number of guests, to give the perfect settings for these type of ceremonies) In Ravello ( Italy) the Catholic marriage rite is also valid to all legal effects, it will be automatically registered with the Italian Authorities, therefore, your Catholic wedding ceremony will be valid both in Italy and abroad. 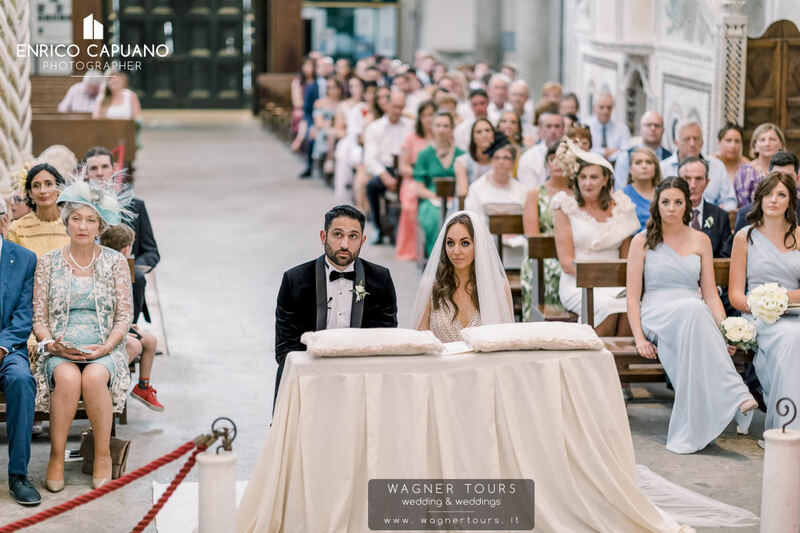 If you have already been married in a civil ceremony, we can organise a Catholic ceremony without civil effect, ( it is required the necessary documentation ''catholic wedding requirements''). 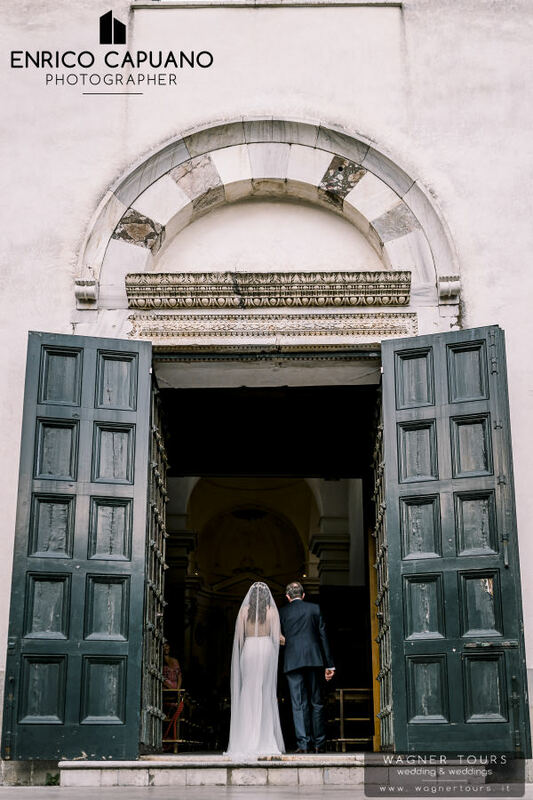 There is no residency requirement to marry in Italy. This allows foreigners to tie the knot and honeymoon in any location without long bureaucratic delays. In some cases you can arrive and get married in Italy within 3/4 days. 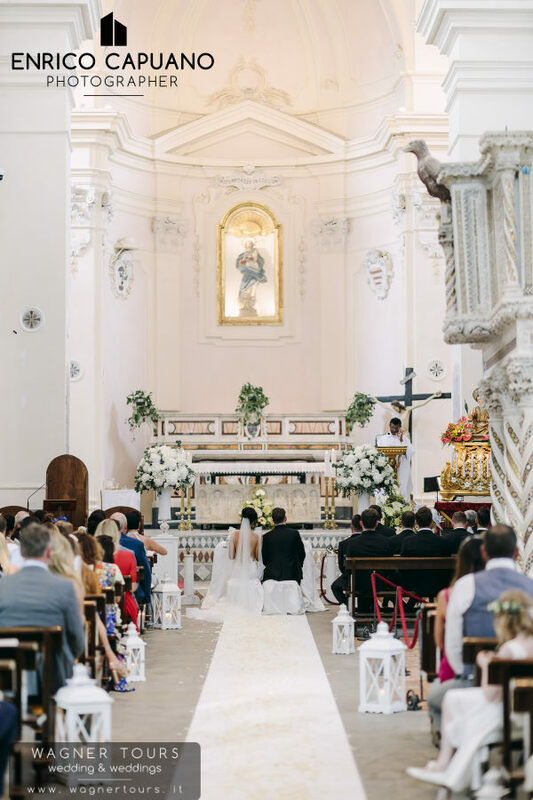 Most of the paperwork for an Italy wedding is prepared in your own country and filed prior to your arrival. Depending on citizenship you may need to complete some further paperwork. In Ravello there are different churches in the heart of village ( Santa Maria a Gradillo and the Duomo ) where catholic ceremonies can be performed. All of them are within walking distance from the nicest reception venues. 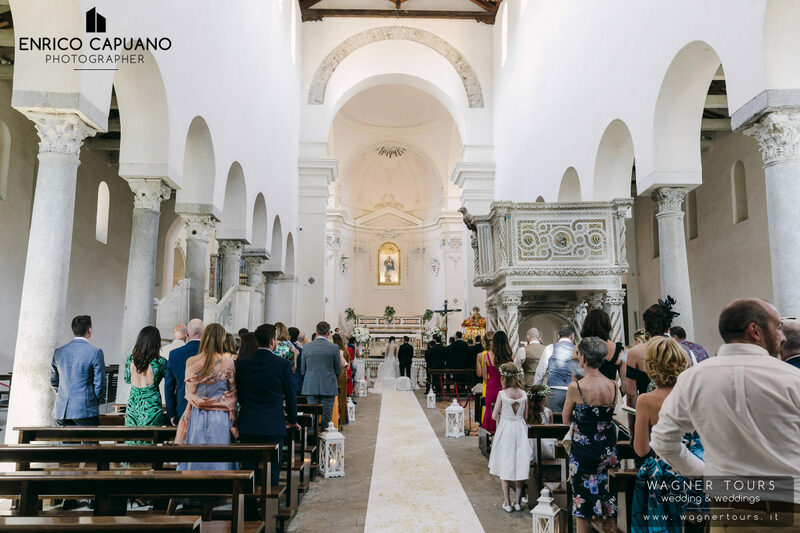 Discover with our photos the stunning churches in Ravello to organise Your Catholic Ceremony on the Amalfi Coast. Please note that in the Church you can NOT have symbolic wedding or other kind of ceremony. 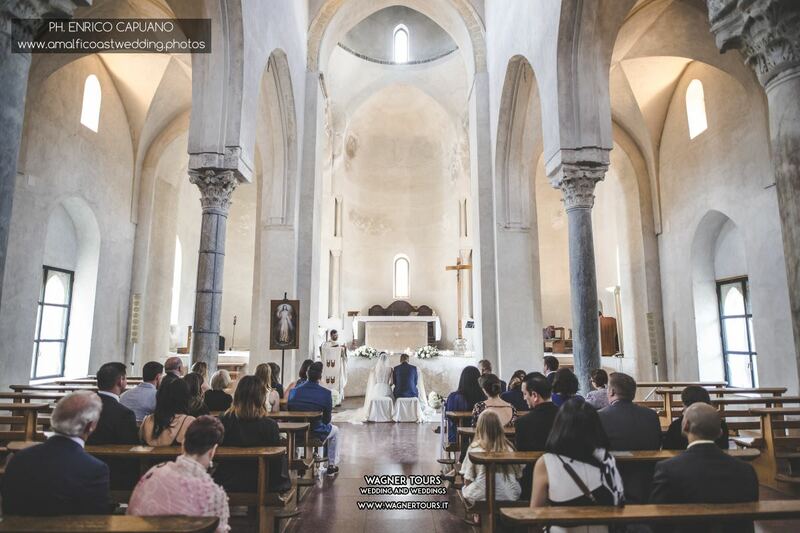 Catholic wdding in Ravello in the church of Santa Maria a Gradillo - a wedding ceremony in a magical church , it is one of the oldest churches of our village, bulit in the 1100's and has been recently restored. 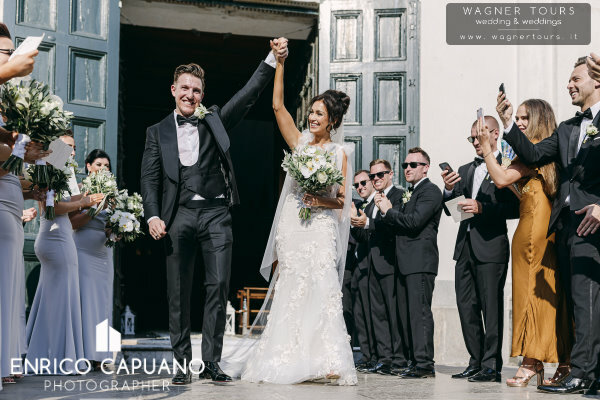 PLAN YOUR RAVELLO DESTINATION WEDDING : All of us at Wagner Tours Wedding and Weddings love to manage wedding dreams, providing you with both personal service and attention to detail, we are located in Ravello, our assistance is starting from your arrival in our offices . This is how we work and the high level of service we offer is confirmed by the lovely words of our previous couples that you can find everywhere in the web, AT YOUR SERVICE SINCE 1989. 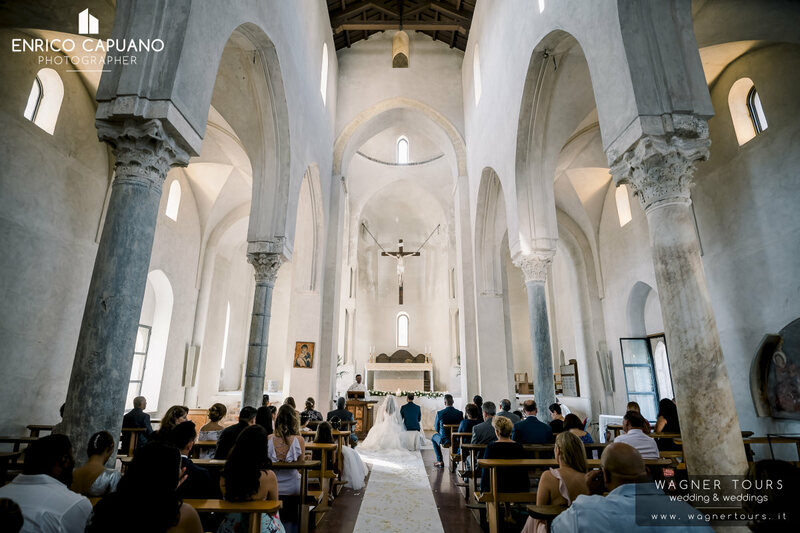 The churches of Ravello for your catholic wedding !! !